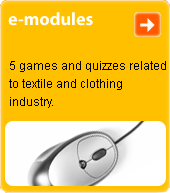 very fine textile product which is homogeneous in terms of its materials. As a rule its microdimensions do not exceed 0.1 mm; it is elongated, elastic and strong, and for the most of limited length. Suitable for the production of thread and yarn, and from these textile products.